Up until 2013 the NEC at Birmingham hosted one of Britain's largest ski shows - the British Ski and Biard Show, with over 130 exhibitors from around the globe. However, in the summer of 2013 the organisers of the NEC show decided to join forces with the rival Ski and Snowboard Show as they were hosting an event in Manchester for the first time. 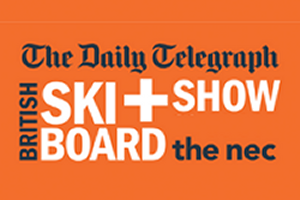 In previous years, as well as all of the exhibitors, the British Ski and Board show featured the Big Air Demo team, free-skiing and boarding lessons on the show's indoor slope, kids snow tubing, a climbing wall, a winter film festival and a snow talk theatre, featuring guests such as Graham Bell. Watch this space to see if the British Ski and Board Show returns to the NEC in 2014. Details and dates for all of the annual skiing, snowboarding and other mountain-related events in United Kingdom.